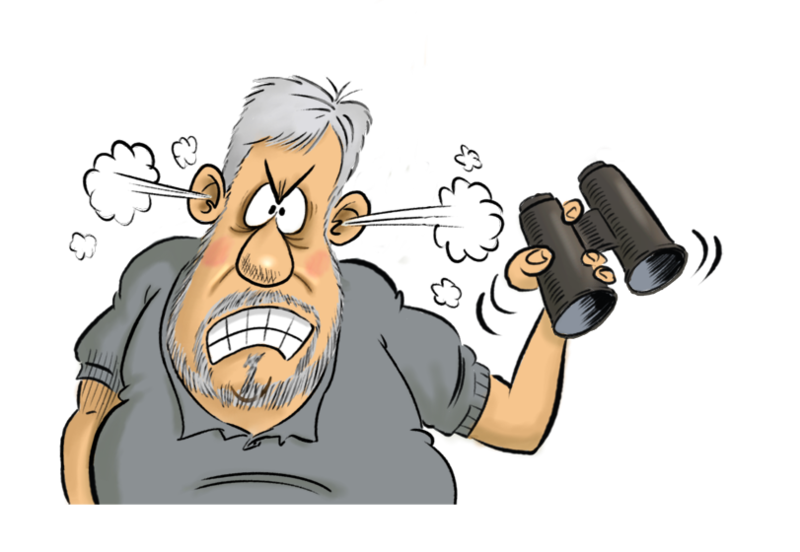 I have been known to cite my arthritic condition as the reason behind my birding method – patiently waiting for birds to just turn up. I am not one for yomping miles across the wilderness in the hope that my footfalls flush skulkers into view. Even were I able to yomp; to stride out unshackled by ageing bones and weakened flesh, such a tactic is unlikely to be in my canon. Even if my corpulence was negated by toned muscle and strength of will, I would still not be a contender in the latter stages of a marathon. There would be no sad staggering through the finishing tape, let alone a Mobot celebration. No the prosaic truth is that I am afflicted with an ill that is so profound and debilitating, so dyed-in-the-wool and devastating as to deserve the same sympathy and understanding as my ill-health. From an early age I have suffered profound and chronic indolence. It may be that her long life and lack of disease (I don’t think she even had a cold during all those years), was borne in her genes. Some might posit that they combined with her life-long labour as a market gardener. Heavy physical work all day, every day, kept her so fit. But this is mere science! I dismiss it in the face of my belief in her expressed wisdom. Like a Scientologist confronted with the fiction devised by their founder, I am not moved, even although I am pretty sure she never took her own advice. My abiding images are of her manhandling her ‘rotovator’ here plot, preparing Sunday lunch or, aged 94 tottering about my dad’s garden feeding his chickens because he was slacking off. I have added a further codicil to this family dictum… never run when you can walk, never walk when you can ride. Today I was in my suddenly sunny garden watching the bees visit the flowers and wondering if I can switch to ‘bugging’ as it may require less energy than birding. Sadly, my sixty-four year old eyesight, coupled with my seemingly eighty-four year-old brain has difficulty telling a hornet from a hoverfly and a cuckoo bee from a cuckoo! Birding it will have to remain. On days when I have angered the gods of Mount Olympus’ poor cousin – Mount Arthritis, indolence plays no part in my immobility. Its thunderbolts can confine me to bed… or shuffling upstairs on my backside unable to trust my hips not to throw me to the floor. I once had such divine intervention while out birding and had to crawl to the car! On my best days, with the sun on my back, wind assisted, and stopping from time to time to ‘un-lock’ my joints, I can get the two hundred yards to a ‘viewing ramp. But only if ‘dobbin’, as she calls herself when called upon to tote my scope, assists. There I can sit on a handy bench and watch the swifts and swallows do battle with hobbies. On bad days my hobby is embattled by the ‘Arthritians’ who ensure I can barely walk to work. As my office is next to my bedroom, and ‘dobbin’ supports me all the way, my restriction becomes clear. This combination of fate and inclination put an end to my twitching career. Many years back I sped the 150 or so miles from where I was, to where the first mainland Red-flanked Blue-tail was found. The walk of a kilometre or more to see it nearly did for me. I was wheezing and trembling as well as twitching. The journey back to my car, assisted by my young, fit son had me so pale, shaky and agonised as to invoke fear and sympathy even in him. The very next ‘mega’ to present itself was duly ignored. Unless I could be certain that the trek was brief, on level ground and dotted with rest areas, I just didn’t go. I resolved to be a county twitcher only. If a bird turns up within the county boundary and I know, or can find out, what the access is like I might go for it… hips permitting. Otherwise I visit favourite, accessible sites like Dungeness, or Oare. Overseas birding tends to be better as so often vehicular access is favoured. Tropical paradises offer the possibility of literally hundreds of birds from a Lodge veranda or a drive and stop, drive and stop along a forest track or through the savannah. All of which explains why my county list has so long stagnated. I have been becalmed in the 290’s for several years… adding one or less birds a year… my World List has grown more quickly just from the ‘armchair ticks’ of taxonomic re-shuffling. The day that my oldest mate left my place and headed off to East Anglia in search of rarities, the birdlines overheated with news of a mega a stone’s throw from my house. A car journey of about a mile got me to a parking spot at the very gates of a cemetery. A walk of 14.5 meters got me amidst two hundred pairs of eyes surrounding the UKs first twitchable Dusky Thrush in fifty-four years! My three hundredth Kent tick, on a plate! What’s more, it was a UK and World lifer added ideally indolently.